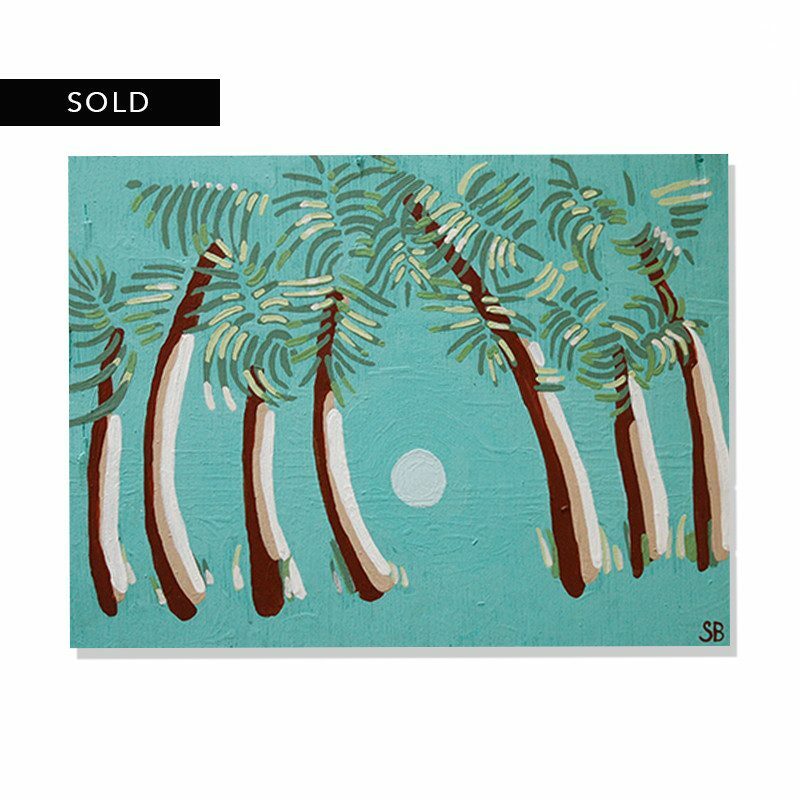 FROM THE ARTIST: Palms was actually created over Palm Sunday weekend. What can I say? I take things literally. 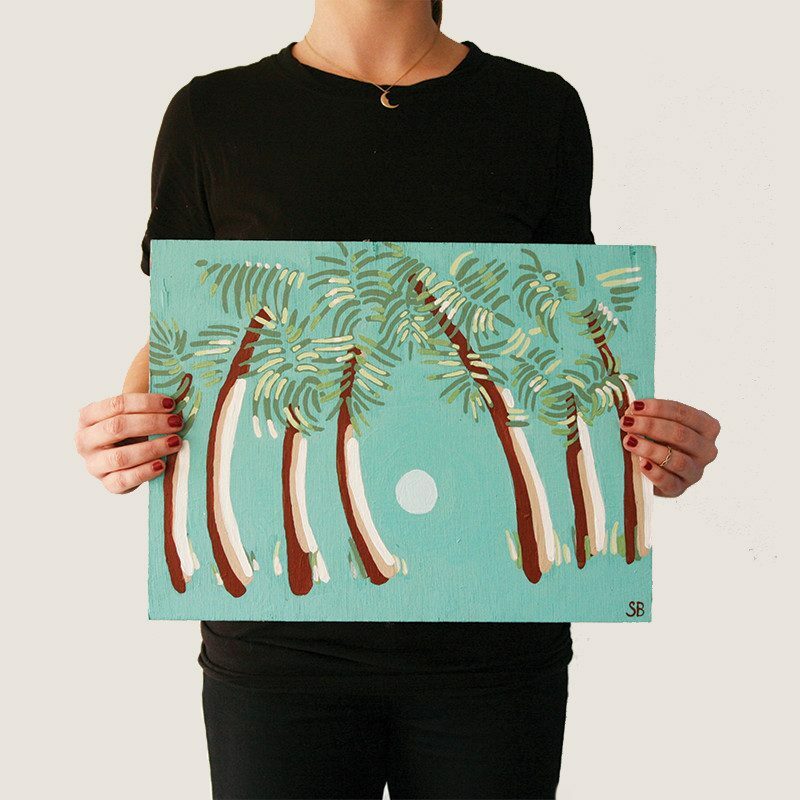 I love palm trees and wanted to paint a piece with them overlapping. I chose the color palette present because I wanted to convey an easy going and calm mood. The absence of vantage point or definition was intended to create a wallpaper-like effect.